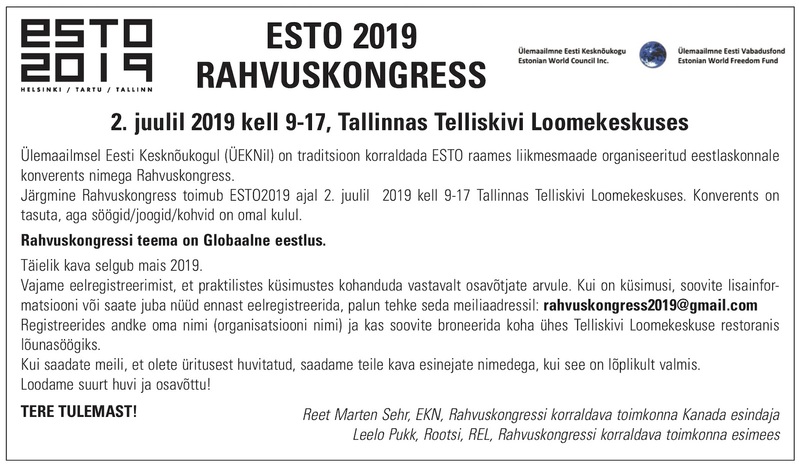 EstDocs Estonian Documentary Film Festival Toronto Canada is announcing the film festival “Cut by EstDocs” at ESTO2019. The festival will take place from June 27th to July 3rd, 2019. Along with the film festival, a Short Film Competition “My Estonia in 100 seconds / 100 sekundit MINU Eestit” in cooperation with Baltic Film, Media, Arts and Communication School of Tallinn University a Short Film competition will be held in continued celebration of Republic of Estonia 100. Films are accepted from both professionals and aspiring filmmakers worldwide. We encourage you to use your imagination. “My Estonia in 100 seconds” could be about making Estonian rye bread in a far off land, each piece symbolizing many Estonians dispersed around the world, brought back home through the magic of film. The EstDocs Short Film Competition welcomes any 100-second short films as long as they have some connection to Estonia. Through film people are invited to show what “Estonia” means to them, whether they are in Australia, USA, Canada, Europe or anywhere else. Entrants may submit films by mail or by electronic means by the 8th of June 2019. Select submissions chosen by independent jury will be screened in Estonia during the festival. Prize pot is 2000 EUR. 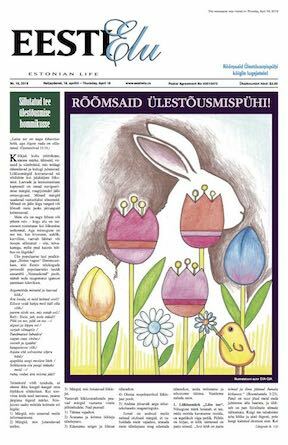 EstDocs is a not-for-profit Estonian documentary film festival and competition held in Toronto that presents stories from the Baltic nation of Estonia.